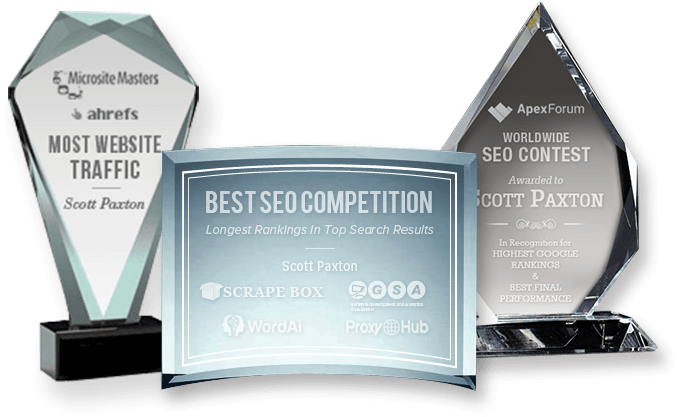 Many Top SEO Companies Rely on Scott Paxton to Rank Their Own Sites! Since 2006 Over 900 SEO Companies (big and small) have relied on my services, consulting and software to help rank both their clients sites and their own projects. Propriatary Software that gives us the upper hand. 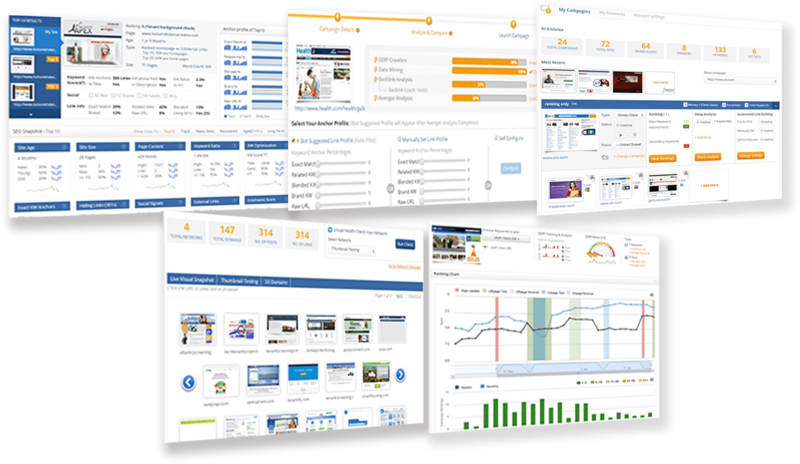 Our SEO Management Dashboad, designed for SEO Companies who need to manage a lot of SEO clients and projects. Proprietary Algorithm Software analyzes over 100 Ranking Signals to understand why sites are ranking and what the current Algo needs to rank. Propriatary site crawler analyzes over 90,0000 sites daily. Over 6.8 Million domains are stored in our exclusive database for use as possible link assets. SEO Experts, we facilitate mastermind groups and trainings on current SEO. Since 2010 Scott Paxton Has Had Full-Time Expert Programmers Working on his team. We nerd our way to success! Some of our software is so powerful & Exclusive we only use it on our own projects / clients sites. Much of our propriatary technology is kept private and not made available to SEO Companies. Technology is no longer an optional part of SEO. Its vital thanks to ever changing algos. Data Science is a big key to why we have consistant results for clients. We love data analysis! Proven. Award Winning. SEO Results. Tripled Traffic in 6 Months! Increased Traffic and Fixed Anti-SEO Attack. Consistantly Increased Traffic 25% quarterly! Stagnant Site; Boosted to Over 7,000 Keywords Ranked! In 5 Months, Took Site from Breaking Even, to Huge Profits! Why Risk Your SEO Work to Anyone Else? We Offer the Industries Best Guarantee! Search Engine Optimization is the best investment a website can make! We’re so Confident in our abilities, experience and propriatary software; we guarantee a positive ROI. No other marketing company comes close to our guarantee. We know how to drive results, and that’s what we’re going to do for you! We’re Fiercely Loyal to You! We Work Exclusively with You and NOT your Competitors! Most SEO Companies will happily accept your competitors sites too! Not us. We feel this is a huge conflict of interest. Afterall, there is only one top position and we feel it should go to you. Once you’re our client, we will be loyal to your site only. We’ll refuse to work with any of your direct competitors. We Believe in Earning Your Business EVERY SINGLE MONTH! The SEO Industry is infamous for requiring long-term contracts and high SEO cost. Why? Because many top SEO companies can’t deliver results and know you’ll stop paying. They use contracts as a way to lock you into a plan that often provides few results and little ROI. Not us! The Scott Paxton team knows how to deliver results and we aren’t worried about locking you into anything. 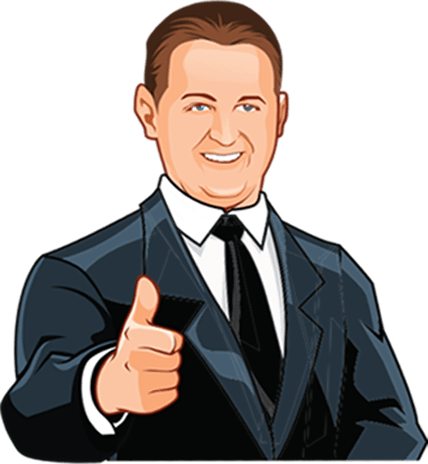 Not only do we work hard to earn your business monthly, we bet you’ll be excited to pay us because it will result in a big ROI for you and your site(s). No Long-term Contracts! Ever. Could you Answer “Yes” to all 3 Questions?